The aim of the present study was to address the controversy surrounding the relationship between periodontal disease and pulpal tissue changes. To determine the degree to which pulpal pathosis is associated with periodontal disease, pulp of teeth affected by severe chronic periodontitis were evaluated. Cases with a history of periodontal therapy were excluded to eliminate causation by other complications such as decay, operative procedures or periodontal manipulation. Study sample consisted of 20 human teeth with chronic periodontitis that were extracted from patients with a mean age of 48.1 years visiting the Department of Periodontics and Implantology. The study was conducted after the approval from institution's Ethics Committee. Consent forms were signed from the patients who participated in this study. The diagnosis of chronic periodontitis was established based on the criteria of the American Academy of Periodontology (1999). Pulp tissue samples were obtained from 20 single rooted teeth that were extracted. Only caries free intact teeth were included in the study. Periodontally, each tooth was assessed by measuring periodontal pocket depth, soft tissue recession, and grade of mobility of each tooth. The extracted teeth exhibited probing pocket depth ≥8 mm and a mobility of grade 3, crown to root ratio >1:1, no caries or fillings, and no history of operative manipulation, trauma or bruxism. Systemically healthy patients who were not on any medication and did not show gingival recession were included. If tooth was diagnosed as hopeless, the treatment of choice to be carried out was extraction with either a bridge or ridge augmentation and an implant. All samples used in this study had natural periodontal involvement. After injecting local anesthesia, the teeth were extracted as nontraumatically as possible to avoid the histological sequel of traumatic extraction. Immediately following extraction, the apical 2-3 mm of roots were sectioned with a fissure bur using a high-speed hand piece under a constant flow of cool water. This was done so that the formalin could enter the pulp chamber and therefore 7 days of fixation was sufficient. Decalcifying agents do have an effect on pulp and that is it little bit affects the staining quality of pulp tissue. It does not take up the hematoxylin stain properly. However, there is no way we can protect the pulp tissue while decalcification. Some changes do occur in pulp. If apical root sectioning would not have been done and the tooth would have been placed directly in formalin then some changes would have been observed in the pulp tissue as it would take time for formalin to penetrate into the pulp chamber. Furthermore, exposing the coronal portion of the pulp would have produced more pulpal changes due to the heat liberated from the bur as a larger part of the crown would have to be sectioned. And so apical root sectioning was done. Microscopic examination of each section was made and then pulp was assessed based on the following parameters: Relative degree of inflammation, amount of fibrosis, presence of pulp stones, presence of edema and condition of pulpal vessels, and odontoblastic integrity. The criterion for grading the inflammation was: No inflammation (0-2 infiltrating cells), light inflammation (2-5 infiltrating cells), moderate inflammation (5-10 infiltrating cells), and severe inflammation (>10 infiltrating cells). The criteria for grading fibrosis were as follows: Light fibrosis (3-10 fibroblast cells), moderate fibrosis (11-30 fibroblast cells), and severe fibrosis (≥31 fibroblast cells). Necrotic specimens were categorized into three groups (no necrosis, partial necrosis or complete necrosis). Necrosis in nearly one-third part of the pulp chamber was considered as partial and necrosis in entire pulp as complete. Nonnecrotic pulp is included while considering necrosis as shown in the table. Vessels were divided into three groups (normal, atrophied, or dilated) according to the size. The vessels with very small lumen were considered as atrophied and with large lumen with or without red blood cells (RBCs) were considered as dilated. The vessels in between these two were considered normal which has an acceptable lumen with or without RBCs. After viewing multiple slides, obvious distinction can be made between normal, atrophied, and dilated blood vessels. Edema was defined as the accumulation of the interstitial fluid in pulp. Each tooth was examined at coronal, mid-root and apical areas, and the cumulative results were considered [Table 1]. Histological sections were evaluated by microscopy, regardless of clinical results. Several microscopic sections indicate that the condition of the pulp in periodontally affected teeth can range from intact to necrotic in different sections of the same tooth. The mean age of participants in the study was 48.1 years, and pulp tissue samples were obtained from 20 single rooted teeth extracted due to hopeless prognosis. Inflammation was a common finding in the samples, however, only 15% of the teeth showed no inflammation. In most (41.7%) cases inflammation was mild. Pulpal necrosis (partial or complete) was seen in different sections, and it was found that 50% sections had no necrosis. 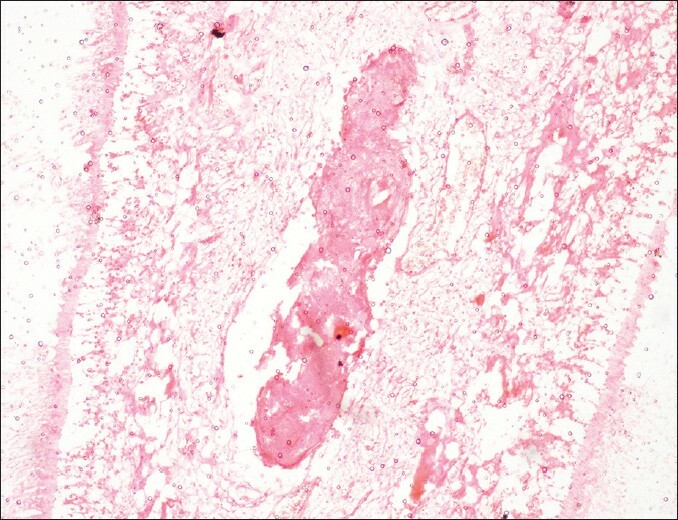 Partial necrosis was more commonly seen as compared to complete necrosis (6.7%). About 60% of samples showed edematous pulp [Figure 1]. Only 6.7% of samples showed absence of fibrosis. Pulp with moderate fibrosis was seen in many sections [Figure 2] and [Figure 3]. 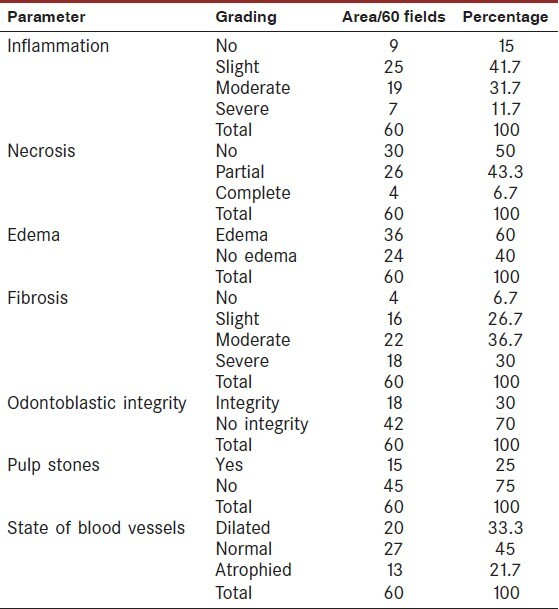 A majority of teeth (70%) also displayed a loss of odontoblastic integrity. Pulp stones were present in only 25% of samples [Figure 4]. Finally, intact vessels were seen in most teeth but dilated, and atrophic changes (21.7%) were also seen. In our study, we established interrelationship of periodontal disease and pulpal pathosis. 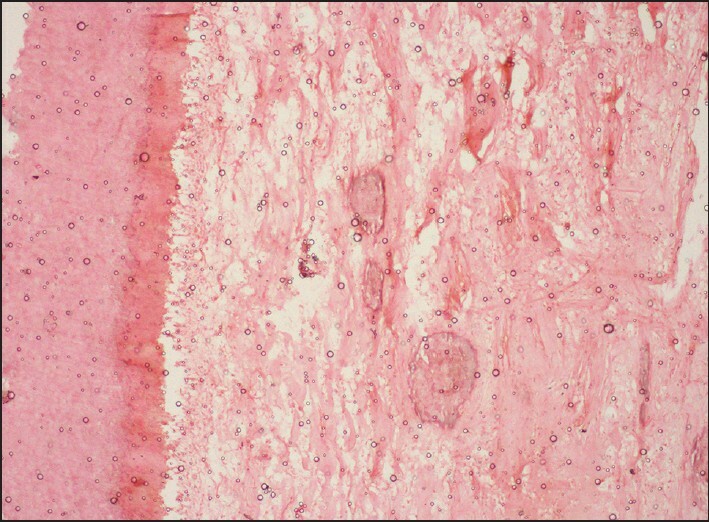 Pulpal pathosis considered in the present study were inflammation, fibrosis, edema, necrosis, loss of odontoblastic integrity, pulp stones, and alteration in the state of blood vessels. The interrelationship between periodontal and pulpal diseases is based on anatomic and circulatory relationship which is a cost effect relationship. Pulp with partial or complete necrosis was seen in various sections, although several sections displayed no necrosis. The scientific thinking for development of necrosis was pressure from the mobility of the periodontally involved teeth. Another mechanism that could be considered for the production of atrophic changes, inflammation, and necrosis of the pulp was the interference of some of the blood supply through the lateral canals within the furcation region and along the side of the roots. The blood vessels supplying small areas of the pulp through the lateral canals may become involved as a result of the periodontal lesion. A pain spasm can be initiated by loss of blood supply to a small region of the pulp. Further, this can lead to subsequent death of the pulp cells supplied by the affected capillaries. A small area of infarction develops, followed by coagulation necrosis. The death of the cells with subsequent calcification is a usual sequence of blood deprivation. It is indeed, difficult to prepare a control group in human studies of periodontal disease and ideally, control and test teeth should be extracted from one person. Hence, it is unclear whether changes observed were limited to diseased teeth or whether they would also be observed in other teeth from the same patient. Discrepancies between previous results and those seen in this study can be because of the use of different criteria for histological and clinical evaluation of the pulp tissue or lack of similar documentation of the periodontal disease parameters. Some limitations need to be acknowledged. In our study, we did not use scanning electron microscope (SEM). SEM studies are difficult to perform as it is not easily available and is expensive. Our results revealed that severe chronic periodontitis can affect dental pulp. The cumulative effect of the periodontal disease, as indicated by the factors of calcifications, apposition of calcified tissue, resorption or inflammation from the root caries or from the involved lateral canals, is damaged pulp tissue, but total disintegration is a certainty only when all main apical foramina are involved by bacterial plaque. Proper evaluation and treatment of periodontal-endodontic involvement is mandatory. Colyer F. Bacteriological infection in pulps of pyorrhectic teeth. Br Dent J 1924;45:558. Altman M, Guttuso J, Seidberg BH, Langeland K. Apical root canal anatomy of human maxillary central incisors. Oral Surg Oral Med Oral Pathol 1970;30:694-9. Bender IB, Seltzer S. The effect of periodontal disease on the pulp. Oral Surg Oral Med Oral Pathol 1972;33:458-74. Simon JH, Glick DH, Frank AL. The relationship of endodontic-periodontic lesions. J Periodontol 1972;43:202-8. Stallard RE. Periodontic-endodontic relationships. Oral Surg Oral Med Oral Pathol 1972;34:314-26. Torabinejad M, Kiger RD. A histologic evaluation of dental pulp tissue of a patient with periodontal disease. Oral Surg Oral Med Oral Pathol 1985;59:198-200. Fatemi K, Disfani R, Zare R, Moeintaghavi A, Ali SA, Boostani HR. Influence of moderate to severe chronic periodontitis on dental pulp. J Indian Soc Periodontol 2012;16:558-61. Russell LH, Kramer IR. Observations of the vascular architecture of the dental pulp. J Dent Res 1956;35:957. Kramer IR. The vascular architecture of the human dental pulp. Arch Oral Biol 1960;2:177-89. Saunders RL. X-ray microscopy of the periodontal and dental pulp vessels in the monkey and in man. Oral Surg Oral Med Oral Pathol 1966;22:503-18. Second International Conference on Endodontics. Oral Surg Oral Med Oral Pathol 1960;13:990-3. Ghoddusi J. Ultrastructural changes in feline dental pulp with periodontal disease. Microsc Res Tech 2003;61:423-7. Rubach WC, Mitchell DF. Periodontal disease, age, and pulp status. Oral Surg Oral Med Oral Pathol 1965;19:482-93. Ekblom A, Hansson P. A thin-section and freeze-fracture study of the pulp blood vessels in feline and human teeth. Arch Oral Biol 1984;29:413-24. Grajewska I. Ultrastructural study of the dental pulp in patients with adult periodontitis. Ann Univ Mariae Curie Sklodowska Med 1997;52:23-8. Nemec A, Pavlica Z, Stiblar-Martincic D, Petelin M, Erzen D, Crossley D. Histological evaluation of the pulp in teeth from dogs with naturally occurring periodontal disease. J Vet Dent 2007;24:212-23. Mazur B, Massler M. Influence of periodontal disease of the dental pulp. Oral Surg Oral Med Oral Pathol 1964;17:592-603. 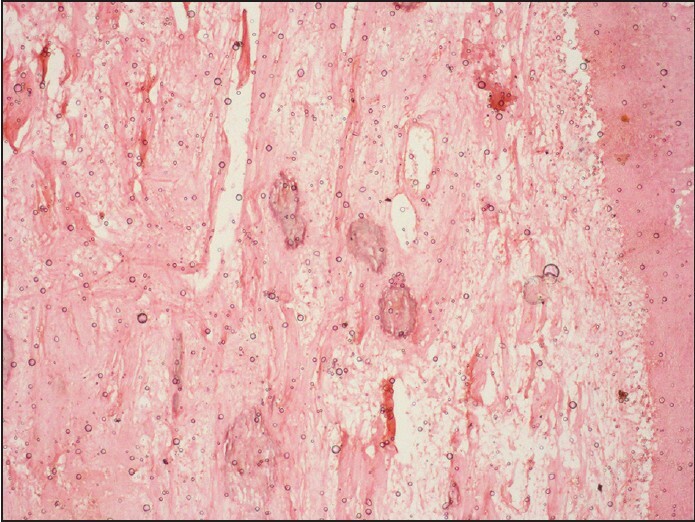 Czarnecki RT, Schilder H. A histological evaluation of the human pulp in teeth with varying degrees of periodontal disease. J Endod 1979;5:242-53. Sauerwein E. Histopathology of the pulp in instances of periodontal disease. Dentabs 1956;1:467-8. 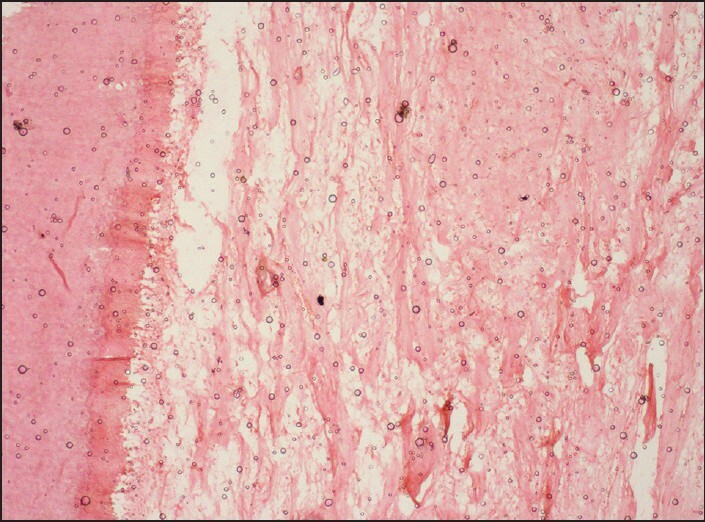 Langeland K, Rodrigues H, Dowden W. Periodontal disease, bacteria, and pulpal histopathology. Oral Surg Oral Med Oral Pathol 1974;37:257-70.